Alice Statham is the only student harpist in Pennsylvania to be represented at district, regional, state and national competitions. 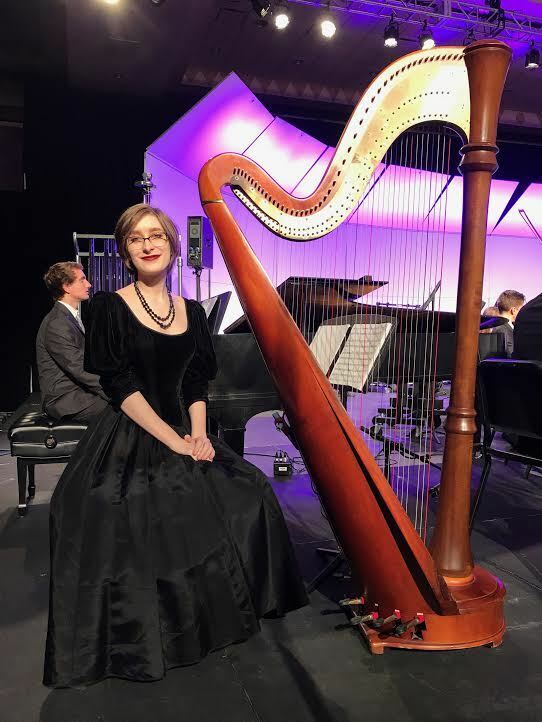 With aspirations to study harp performance in college, the Bald Eagle Area senior recently returned from Disney World where she was part of the orchestra for the National Association for Music Education. She also received a perfect score at the Pennsylvania Music Educators Association All-State competition, which allows her to be part of the national orchestra. Statham got into states during her sophomore year, and continued with it despite there not having an orchestra at Bald Eagle Area High School. According to PMEA, she is one of two student harpists who were selected for the 2018 PMEA All-State Orchestra with Statham as first chair; and Emily Hayes, of Slippery Rock Area High School, as second chair. Statham performed with the national orchestra at Disney in November. It came after qualifying for the position, beating out other harpists from every state in the country. There were 606 total musicians at the music festival, including more than 100 who were part of the orchestra. She started playing the harp at age 6. “My mom was a violinist and so I played violin starting at (age) 2 and started piano at (age) 4, and saw the harp on TV or something, and was like, ‘Hey mom, Can I play this?’ and I’ve played ever since,” Statham said. Practice includes playing for at least two and a half hours a day. She plays with ensembles upon request, and plays at weddings and other special events. “I can say I really enjoy playing the harp, and people seem to enjoy listening to me play, and that’s what allows me to keep doing it,” she said.